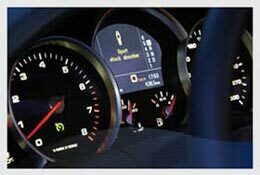 With Association of New Zealand’s most known Odo-Meter Inspection Service Company Automotive Technologies Limited (ATL), RamaDBK is proud to present our customers with ODO Meter check service. This will help to protect our customers greatly from any meter wind-up troubles that may occur after the vehicle arrive at their destination port since this check is done before the vehicle is shipped. Please note that we will only be directing our customers to this 3rd Party company and ATL will invoice you directly for any services provided by them. Please contact them directly for the list of prices for each country. We have also recently completed a MAF Work Inspection Manual in conjunction with New Zealand MAF and Kiwi Car Carriers to ensure that all of our inspection systems meet with their approvals when undertaking our inspections at MAF Inspection Centers.